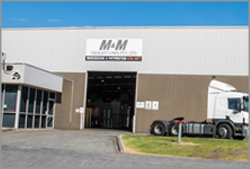 M&M Freight Lines are a well established Dandenong based company specializing in local Melbourne Metropolitan Transport, warehousing & distribution. M&M Freight Lines offer professional, friendly & personalized service. 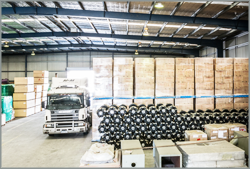 Our comprehensive expertise ensures reliable and cost effective solutions for all your transport & warehousing requirements. M&M Freight Lines have freight & transport solutions to suit your every need, from part loads to full loads and everything else in between. We have a modern well maintained fleet which ranges from 4mt open tray truck through to Semi Trailers All vehicles in our fleet have electronic tracking allowing for the safe and secure delivery of your freight. 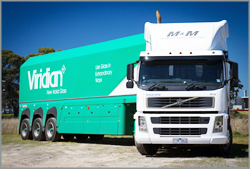 M & M freight Lines have strategically placed receiving depots in Melbourne and other capital cities. We offer a comprehensive range of general freight services. M & M Freight Lines specialise in storage of palletised freight (within pallet racking) or block/ pyramid stacked (floor). We also offer container de-stuffing for both 20 and 40 foot containers. Copyright © M&M Freight Lines.